SAS Cyber Attack Training For The Over 60’s: What Is Scam Avoidance School? It doesn’t matter if you are an individual or if you run your own business, everyone and everything is susceptible to scams and cyber-hacking. 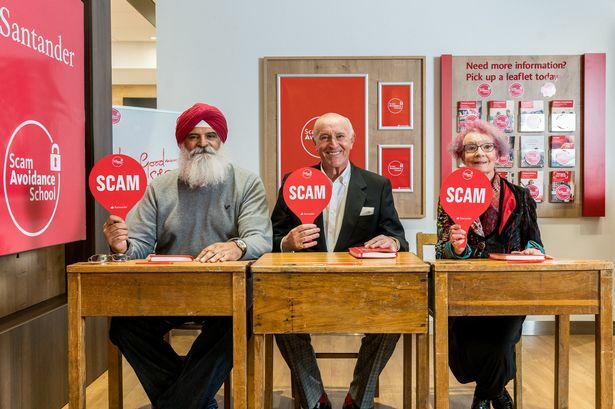 People over the age of 60 are increasingly vulnerable to online scams according to Santander and so they decided to take the over 60s back to school and launched a SAS, Scam Avoidance School to help older people avoid scams and handle this cyber terror. Santander carried out a research amongst people in this age group to figure out what scares them the most when it comes to fraud attacks and scams. They even took help from the expert Dr. Paul Seager who is a Psychology Professor at Lancashire University. This Scam Avoidance School has been designed especially for people over 60s and was rolled out across all of the Santander’s 806 branches last month and asked their staff to deliver which led to ‘tens of thousands’ of people over the age of 60 to book for this course. The lessons SAS School give require interactive studies and even a handout that the people can take away. The handout covers the tricks that scammers use to attract people towards them and the handout even tells them how to spot an email or a text that might be a con. These lessons even cover cashpoint fraud and contactless fraud that the research proved was the main concern for people over 60s. Former Strictly Come Dancing Head Judge, Len Goodman age 73 was the first graduate of Santanders SAS. He not only wanted to do all that he can for people over the age of 60 but he also wanted them to recognize the tricks scammers use. Len Goodman was the first to sign up to this School and had a personal experience of fraud as well, when his daughter-in-law lost £16,000 to these scammers. Santanders research revealed that 64% of people over the age of 60 are worried about the threat of fraud and 53% of people above the age of 60 have been targeted by these scammers. What makes these older people highly susceptible is that they were vulnerable due to a disability or illness (74%), some are financially unaware (54%) and some are left on their own (37%). Those who had fallen into the scam admitted to being ill at the time and Age UK figures shows that those who got defrauded are 2.5 times more likely to either go into residential care or die within a year.